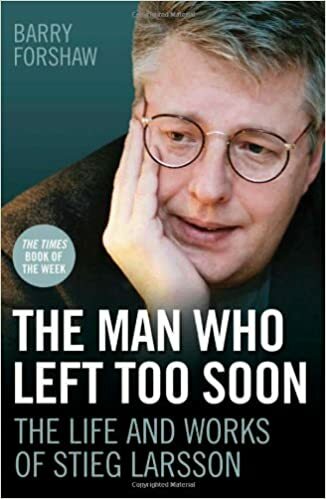 His best-selling books are violent, terrifying, brilliantly written and have sold millions of copies around the world, but Stieg Larsson was not there to witness any of their international success. That his fame is entirely posthumous demonstrates the dizzying speed with which his star has risen. However, when one looks a little deeper at the man behind these phenomenal novels, it becomes clear that Larsson's life would have been remembered as extraordinary even if his Millennium Trilogy had never been published. Larsson was a workacholic: a keen politcal activist, photographer, graphic desinger, a respected journalist and editor of numerous science fiction magazines...and at night, to relax after work, he wrote thrillers. As the world now knows, he had completed his third book, The Girl Who Kicked the Hornet's Nest, by the time of his death at just 50 years of age.